Maybe it's the fact that politics bore me. Or my complete ignorance of goings-on in the Middle East. Or maybe I'm just really, really tired. 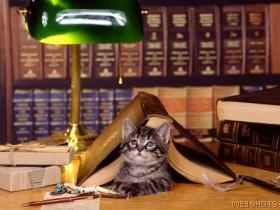 Whatever the reason, I had a hard time plowing through Red Sea by E.A. Benedek. It shouldn't have been difficult to get into this book - after all, it's got enough explosions, car chases, and government conspiracies to fuel several movies. Still, for some reason, I didn't find it "unputtdownable" until the last 1/3 of the book. Red Sea starts off with a bang - literally. When four commercial airplanes explode on the same day, killing hundreds, investigators from every country rush to figure out what happened. Among them are French-born Marie Petersson, a journalist working in New York; Julian Granot, an Israeli operative brought out of retirement especially for the job; and Morgan Ensley, a cynical FBI Agent from Texas. Realizing they can gather more information together, the trio form a tentative alliance. Marie agrees to keep her eyes and ears open, reporting back to Julian, in exchange for access to sources for explosive stories. Although consorting with representatives from other governments is strictly forbidden by FBI protocol, Morgan decides to risk it. Together, they look into the shady corners of Baghdad, searching for any leads on the airplane explosions. Accusing would-be terrorists of blowing up planes is dangerous enough, but when Marie and Morgan find evidence of an even bigger plot against the U.S., they find themselves running for their lives. If their suspicions are correct, New York is in for an even more devastating disaster than 9/11. But government officials are notoriously hard to convince, especially when their own people are running rogue investigations. Can Julian, Morgan and Marie get the right information into the right hands in time to stop a terrorist's mad plot? What will Marie do when she discovers a very personal connection to the whole crazy scheme? Will New York suffer at the hands of terrorists once more or can the unlikely team prevent one of the worst disasters in U.S. History? As this summary suggests, Red Sea is an action-packed race to the finish with the fate of New York hanging in the balance. From Jordan to Turkey to Iraq to New Jersey, the characters search for answers, whether the question is Who rigged four planes to explode? or How can I glorify Islam by destroying infidels from the West? The plot rings with contemporary urgency, playing on current fears. What results is a compelling, but chilling story about very real issues. So, why couldn't I get into it? For one thing, I think Red Sea sacrifices good character development for increased action - a common occurrence in thrillers. Consequently, the only character that felt real to me was Julian. The others seemed to be merely caricatures, although Marie's background - which is revealed too slowly - makes her a more rounded character than she first appears. Also, I think there were too many players of which to keep track. I kept forgetting who was who. An abundance of technical and cultural information establishes Benedek's authority, but slowed the story down for me, dulling the action. Once I hit the last 1/3 of the novel, however, I was hooked. Its conclusion kept my heart pounding until 1:30 a.m., when I finally finished the book. I freely admit that political/international thrillers really aren't my cup of tea, so I didn't enjoy Red Sea as much as fans of the genre probably would. Still, I appreciate Benedek's authority and her ability to produce a heart-pounding ending. The fact that I'm still up at almost 2 in the morning attests to what an adrenaline rush it was. 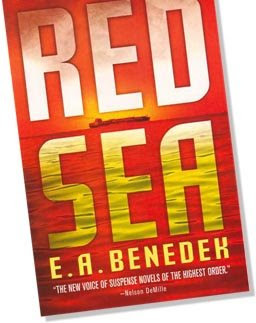 Because I'm too tired to think of a clever conclusion to this review, I'm just going to say this: If you'd like a chance to experience the rush for yourself, leave a comment on this post for a chance to win my copy of Red Sea by E.A. Benedek. I'll draw the winner's name on November 5. Good luck! Good review - very thorough. I will be reviewing it on Wednesday. Would love to win the book. Sounds like something I would enjoy. This books sounds good. I do think my husband would enjoy it more than me, though. Thanks for giving it away! I think this one sounds great! Count me in! Or maybe you had a hard time getting into it because it wasn't very well written. I know that's why I didn't like it. Sorry I'm late in commenting. I just recently read the book for the tour and will be posting my review on Monday. I admit that I do love books like this and enjoyed this one quite a bit. Books like this do sometimes lack in character development. I actually felt okay about Marie and Julian. It was Morgan whose character I never quite was able to get a handle on completely.